See the world in a new way with Nokia Maps. With downloadable maps for more than 200 countries, and millions of points of interest to be discovered, there are treasures to be found and shared. You can find your destination and plan your route street by street, city to city. You can get a different perspective with satellite, hybrid, and street maps. And, you can enhance your visit with multimedia city guides. Get a clear view of the road ahead with Drive. World-class car navigation with turn-by-turn visual and voice guidance, plus added real-time traffic feeds and dynamic re-routing to help you arrive on time. Innovative turn-by-turn pedestrian navigation, Walk is the shortcut to learning a new city on foot. With advanced multi-sensor positioning, you can cut corners like a local or hop on at clearly marked transport stops. 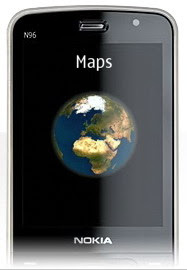 Let Nokia Maps show you the way.